Describes the early life, career and achievements of Brian Vickery, British information scientist, as practitioner, researcher and academic. Presents an outline of his many and varied, much cited publications. Concludes that while the subject of information science has largely been subsumed under information technology, the theory is still important, and that Vickery was a leader in building the foundations. Brian Campbell Vickery was born on the 11th September 1918 in New South Wales, Australia. His father, Adam McCay, was a leading Australian journalist, and his uncle was General Sir James McCay. (Brian took the surname Vickery from his mother’s second husband after a divorce.) He attended schools in Australia, Cairo (Egypt) and Canterbury (England) before going to Oxford University in England where he read chemistry. By his own admission, he did not get high marks — instead, he enjoyed reading poetry, history, philosophy and social politics and attending performances of plays at the Playhouse Theatre in Oxford. Nevertheless, one of the highlights of his academic career that he long remembered was attending a lecture by chemist Linus Pauling, subsequently a double Nobel Prize winner. On attaining his degree in the middle of the Second World War, he was drafted as a plant chemist to a weapons factory engaged in the development of a newly invented secret explosive. After some time working on the production line, he was sent on a course on statistical analysis and transferred to the laboratory as a librarian. The laboratory was headed by a Professor Kenneth Denbigh who asked him to help on some projects on which he was working which led to co-authoring a technical paper with him (Vickery and Denbigh 1949). Vickery’s future career was beginning to take shape and was further advanced by his next brief job working as an assistant editor for the journal The Industrial Chemist, where he published more papers, one (following the bombing of Hiroshima in 1945) into relevant nuclear research from 1921 onwards. While working at the factory and later for the journal, Vickery says he was much influenced by reading The Social Function of Science by the famous scientist John Desmond Bernal; and later, when visiting the Patent Office Library to consult chemistry journals, he came across S. R. Ranganathan’s book Colon Classification. These two, quite different books can be seen to be particularly formative in Vickery’s intellectual development. In 1945, Vickery married Manuletta McMenamin with whom he had two children, Sue and Michael. In 1946 Vickery was launched into his career as an information scientist, though in those days the post he was to fill was still called “Librarian” or “Industrial Librarian” as the post was in the Imperial Chemical Industries (ICI) Akers Laboratories. He had been recommended for this post by Professor Denbigh, mentioned above. These laboratories covered a wide range of disciplines with a high level of expertise; in fact, three heads of department subsequently became Fellows of the Royal Society. This early experience gave Vickery an excellent start in his career. After ten years with ICI, Vickery was invited by administrator and leader of Department of Scientific and Industrial Research (DSIR), Donald Urquhart, to apply for a job as his Principal Scientific Officer, a post included in his plans for a new national science library under the aegis of DSIR. Initially established in London as a lending library, it was moved to the north of England in 1961 becoming the National Lending Library for Science and Technology (NLL). In 1964, Vickery moved to UMIST (University of Manchester Institute of Science and Technology) where he met (and sometime later married) Alina Gralewska who was then Chief Librarian of the Israeli Atomic Energy Commission, moving in 1966 to become Information Officer at the Rock Mechanics Section of the Imperial College of Science and Technology in London. While in full-time employment in information service posts Vickery managed to pursue outside professional activities by attending conferences and joining the Classification Research Group. The first of these conferences was the Royal Society Scientific Information Conference of 1948. Vickery’s attendance was made possible by the fact that John Holmstrom, Head of Information at ICI was appointed as Editor of the section dealing with indexing and other library services and asked a number of ICI library staff to act as “leaders and recorders” of working parties. Vickery was appointed to the working party on “guides to information”, which included information centres, data tables, handbooks to scientific literature and an index of scientists, all sounding very old-fashioned now. It was at this conference that Vickery met Bernal, who was later to become active and influential in the world of scientific information and in Vickery’s career. Another outcome of this conference was a realisation of the importance of classification of scientific literature, and Bernal asked Vickery and A. J. Wells to consider this problem; the outcome was the establishment of the Classification Research Group (CRG). The other important conference was The International Conference on Scientific Information (ICSI) held 10 years later in 1958. ICSI was organized jointly by the U.S. National Science Foundation, the National Academy of Sciences and the American Documentation Institute. Vickery travelled to the U.S. with Librarian of the Cranfield School of Aeronautics, Cyril Cleverdon, who was later to become the organizer of the Cranfield information retrieval tests with which Vickery collaborated. Vickery made many contacts and lasting associations with American information professionals at this and later conferences. In 1966, Vickery was invited to become head of the Research and Consultancy Department of Aslib following the retirement of Chris Hanson who had established the Department after leaving his post as Information Officer of the Scientific Instruments Research Association. Initially entirely funded by Aslib, the Department was hugely enhanced by government funding from 1965 through the financial support of the U.K Office for Scientific and Technical Information, and later by the British Library Research and Development Department, under the guidance of a Research Committee whose Chairman was J. D. Bernal. It may have been noticed in the above brief account of Vickery’s career that most of the posts that he held were obtained either on recommendation or by invitation, testimony to his growing professional reputation, and his final employment was also by invitation — to apply for the post of Professor of Librarianship at the University College London School of Library, Archive and Information Studies 1973, of which the third was poorly developed and which Vickery was expected to address. On retirement, in 1983, Vickery was appointed Professor Emeritus. It can be fairly said that Vickery’s outstanding achievement came despite a relatively modest formal education. He had a degree in chemistry and later took a short course in statistical analysis, but that seems to have been all. Everything he subsequently learnt was gained by curiosity, wide and disciplined reading, contact with others and from practical experience. As a result, he became one of the pre-eminent authorities on the theory and practice of information science. Vickery’s first post with ICI can be considered as his first achievement, and the first step in his climb up the professional ladder. Initially, the work involved him setting up a properly functional library service, based on a rudimentary stock and soon to be rehoused in new accommodation. This first employment involved “learning on the job”, co-ordinating with other ICI industrial libraries and using the services of Aslib (then known as the Association of Special Libraries and Information Bureaux) of which ICI was a corporate member — attending lectures and reading back numbers of conferences. At the National Lending Library Vickery’s job was varied and extensive, involving book selection over the whole range of science, technology and medicine; the cataloguing of serials which, being arranged by title, involved dealing with complex corporate names; managing a programme for cover-to-cover translation of Soviet science and technology journals; developing courses on scientific literature; carrying out internal stock surveys and statistical investigations; and finally showing round distinguished visitors, some from the Russian VINITI abstracting system and the Chinese Academy of Sciences. One of the most important events in Vickery’s intellectual development was his involvement with the Classification Research Group (CRG) to which he devoted much time and effort in its early years, gaining much knowledge and advancing the understanding of → classification and its supporting features — particularly the newly emerging principles of → faceted classification. The CRG, which first met in 1952, included the most eminent practitioners and theoreticians in the U.K. at that time, including in addition to Vickery and Wells, Derek Austin, Eric Coates, Jason Farradane, Robert Fairthorne, Douglas Foskett, Barbara Kyle, Derek Langridge, and Bernard Palmer. (Also at this time, in 1950, Vickery set up the Reference and Special Library Section of the U.K. Library Association.) Initially, Vickery was the Honorary Secretary and Minute Keeper of the CRG (a difficult post considering the complex and often-heated debates of the CRG members). Vickery continued in this post until moving out of London in 1960 to take up his post at the National Lending Library for Science and Technology, NLL. At the beginning of its history, the CRG published its reports as Memoranda, but after the fourth issue these were published in the Journal of Documentation. It was during this time that Vickery prepared, on behalf of the CRG, the small forty-nine-page book published by Aslib with the title Faceted Classification: A Guide to the Construction and Use of Special Schemes. This small paper-back influenced many special librarians to start working on this new approach and several specialized schemes became available. One of the most important events in the life of the CRG was the 1957 “Dorking Conference”, (the other being its work on attempting the completion of the Bliss Classification with which Vickery was not associated). This four day-long International Conference, assisted by Aslib, attracted, in addition to the CRG members, a number of influential participants from outside the U.K. including Jesse Shera, Helen Brownson and Eugene Garfield (the founder of the Science Citation Index) from the U.S., Eric de Grolier from France and the undoubted star of the meeting, S. R. Ranganathan from India, who exerted a deep and lasting influence on the CRG and many of its followers. In addition to theoretical discussions, Vickery also became involved during this period with a practical exercise in faceted classification following an earlier meeting with Cyril Cleverdon. Vickery and Farradane persuaded Cleverdon (against his initial scepticism) to engage them in constructing a faceted classification for his Library at the Cranfield School of Aeronautics. This was completed, and it was also used later in the famous Cranfield experiments comparing the effectiveness of different retrieval languages (cf., Vickery 1966c). By the 1960s Vickery had drifted away from the CRG having become increasingly interested in computerization and its application to information retrieval. Consequently, his appointment as Head of the Aslib Research and Development Department became a most active and fruitful period. The Department reached its peak during Vickery’s tenure, employing fifteen researchers and five consultants. Two of the Department staff, in addition to Vickery himself, became Professors in information studies: Stephen Robertson at City University London, and Blaise Cronin at the Indiana University in the U.S. The main activities for the Department, both in research and consultancy were operational studies, the related assessment of user needs for information, and what was then known as mechanization. Increasingly, projects were undertaken for large international organizations including UNESCO, UNIDO, FAO, ILO and the European Commission. One important project for the U.K. Institution of Electrical Engineers led to the setting up of its computerized system called Inspec (Information Service in Physics, Electrotechnology and Control). Other “mechanization” projects included development of systems for the Commonwealth Agricultural Bureaux and the U.K. House of Commons Library. In several of these projects Vickery was actively involved and in all of them he took a detailed interest advising and encouraging his staff. After seven energetic and successful years with Aslib, Vickery was invited to apply for the Chair of Library, Archive and Information Studies at University College, London which had recently become vacant. The Department was well renowned, not only for the more traditional studies, but more recently for important work in information science, studies that had been pioneered by renowned information scientist B. C. Brookes. However, Brookes’ retirement had unfortunately coincided with a reduction of the University’s finances and one of Vickery’s tasks was to revivify this important area of study. He succeeded in this endeavour, managing to secure funding and grants for a steady flow of capable research students, while continuing to undertake research himself. Amongst the successful students were Stephen Robertson (previously with Aslib), Nick Belkin and Jose-Marie Griffiths, both of whom went to work in the U.S.A. In an additional boost to the success of the Department Alina Gralewska (now Alina Vickery, their having married in 1967) was involved in the success of the Department. Alina Vickery was Senior Information Systems Officer at the London University’s main Library where she had a strong reputation heading a team of Assistant Information Systems Officers. Both the Vickerys now frequently lectured at each other’s institutions. As Cronin (2010) has observed, Vickery’s output was remarkable “given that for much of his professional life he was what we would term a practitioner […] he produced more highly influential publications than do most career academics in a lifetime”. He published over 150 books and journal articles, among which his Faceted Classification (1960a; 1966c) and Information Science in Theory and Practice (1987; 1992; 2004) have the highest number of citations in Google Scholar, while the article on Bradford’s Law (Vickery 1948) has most citations in Web of Science. The range of his writings was wide, starting with his 1948 paper on Bradford’s Law of Scattering. There followed a mix of library-based articles (“Reference aids for the literature search”, “Some problems of a technical library”, “The optimum use of staff in the small library”) and then in 1951 an early indication of his interest in the possibilities of computers, a paper titled “Some comments on mechanical selection”, notably published in American Documentation. (ENIAC, the first electronic general-purpose computer had been launched in 1948.) Amongst these were some early papers on classification: “The inadequacy of current classifications for scientific indexing” and the extensive “Notational symbols in classification”, published in the Journal of Documentation, which was to be the first of an important five-part series on → notation from 1952-59. Amongst this already widening scope of subjects, and reflecting Vickery’s interest in philosophy, was “The significance of John Wilkins in the history of classification”, published in Libri, (→ John Wilkins was a 17th Century natural philosopher and one of the founding members of the Royal Society). Keywords selected chronologically from Vickery’s subsequent papers indicate the scope and development of his work, for example: “Structure of knowledge”, “Subject analysis for information retrieval”, “Semantic coding”, “Thesaurus”... and from 1966 onwards: “The future of scientific communication”, followed by a stream of reports and articles after joining Aslib, many of which were co-authored. Other keywords that appear as computerization matures include “Ontologies”, “Expert systems” and “Online search interface design”. Retrieval languages may have varied structural characteristics, and these are summarized. The languages serve varied purposes in information systems, and a number of these are identified. The relations between structure and function are discussed and suggestions made as to the most suitable structures needed for various purposes. There follow sections on Structural Characteristics, where the organization of terms are listed as Unrelated, Interlocked (into subsets), Structurally related, and Weighted — each well illustrated with real examples; and on Functional purposes listing eight separate functions, again with real life examples, Vickery (2006c, 10) observes that “When the functions of specific reference and generic survey were first stressed, advocates of each tended to denigrate the other. Many were the battles between abecedarians and classifiers. Each approach was acclaimed as the best, suitable in all circumstances”. Thus, Vickery opened up the debate in a logical and useful way, heralding the progress of more rational thinking in the area of information retrieval. All of this now seems obvious, but at the time, it laid out a ground map for more disciplined thinking. This rather lengthy summary of one paper illustrates well the clear analysis of a scattered and often muddled field of discourse, promoting the possibility of more rational advances in the areas discussed. As Vickery progressed the topics he dealt with kept up with advances in information science. Thus, in 1955 there is a paper titled “Developments in subject indexing” which states (p. 591) “A glossary of current terminology in classification now runs to 350 terms, mostly of recent coinage”. In 1970, he co-authored a paper with the title “Complexity of Modelling Information Systems” (Martyn and Vickery 1970, 204) asking the questions: “Who are the system users? What are their information needs? What formal services will be offered to them? Through what media will services be provided? How will these media be produced? At every point there are alternative answers to these questions”. By 1990 he was writing about “Intelligence and information systems”, the nature of, and kinds of information skills that need to be incorporated in intelligent systems software; and in 1997 there were papers on Ontologies and on “Metatheory and information science” described as the analysis of the presuppositions of a field of knowledge or practice . In addition to all the journal articles, many of which were published in titles outside the U.K., there were numerous research reports, many published while working at Aslib, book reviews and editorials. He published >26 papers in the Journal of Documentation alone, was at one time on its Editorial Board and was the obvious Editor for a book of essays under the title “Fifty Years of Information Progress” reviewing past papers in the journal, it may be noted that all six authors cited Vickery at least once in their contributions. On top of all this he found time to write a number of books mainly on classification and information retrieval, several of them published by Butterworths, one of the leading British publishers. The outstanding publication was undoubtedly “Information Science in Theory and Practice”, co-authored with his wife first published by Butterworths in 1987, updated in 1992 and in 2004 a third and enlarged edition published by K. G. Saur , with a chapter added by Vickery after his wife’s death on “The Internet and Information Science”. With nearly 400 pages, divided into 10 chapters and 6 appendices, further divided into 123 sections, the book ranges from “Information Science: emergence and scope” to the final chapter noted above, taking in on the way “A social approach to information”, “Information Retrieval”, “Information Systems...and their Evaluation”. As the title of Vickery’s (2004a) short autobiography has it, all these titles of books, articles and reports indicate: “A long search for information”! Oddly, the term → information science came after the term information scientist. Jason Farradane and colleagues established the Institute of Information Scientists in 1958; an information scientist being defined as someone with a degree in science or technology, a second language and five years experience in information work. In 1963 Farradane established the first school of Information Science at what is now the City University of London. By the start of the 21st Century Information Science as a separate subject was becoming increasingly affected by the rise of information technology. As Jack Meadows wrote in an article in 2008 under the title “Fifty year of research in information science” (initially published in the Journal of Information Science and later as a book under the title Information Science in Transition), “the information science activities developed over the past 50 years have triumphed, but information science as a separate entity may be on the wane. If so, its final epitaph might well be that of Sir Christopher Wren in St Paul’s Cathedral — ‘If you want a monument look around you’”. At a personal level, Meadows had witnessed the closing down of the school of information science at his University at Loughborough, while at least one other school was to be closed and others re-branded; and many information departments in public and private enterprises had been, and were to be downsized or closed. Vickery was well aware of this development and its effects as he wrote in the chapter added to the 3rd edition of his book Information Science in Theory and Practice, mentioned above. In that forty-two page chapter Vickery presented diagrams showing the major routes through which information may now flow; the processes at an intelligent search interface; and the structure, function and skills of a sophisticated information agent. Vickery ended this chapter with some very pertinent questions regarding the need for more and deeper thought on the theory of information science, adding “As a profession we have an obligation to the whole community of those who need information. Thirty years ago UNESCO declared ‘No individual, no class, no community should be barred from access to the stores of knowledge accumulated by mankind […] Between aspiration and achievement there is still a large gap’”. Had Vickery lived longer he would have been a leader in pursuing such a goal, especially vital in the new “post-truth” age of the transmission of misinformation and disinformation. Vickery died peacefully on the 17th October, 2009 in Oxford at the home of his daughter Sue with whom he spent his last years. Thanks to two anonymous referees for careful reviews of the paper. (The bibliography of Vickery’s work was made by the editor-in-chief; Keiichi Kawamura provided additional information). 1. Late reflections on classification are documented by Gnoli (2012). 2. Vickery and Vickery (2004). Contents: xiii+: A map of some major information science writers; 1-12: Information science: emergence and scope; 13-27: A social approach to information; 28-43: Wider contexts of information transfer; 44-115: People and information; 116-32: Information retrieval; 133-179: Semantics and retrieval; 180-209: Intermediaries and interfaces; 210-60: Information systems; 261-99: The evaluation of systems; 300-342: The Internet and information science; 369-70: Information scientists, 1972-1995; 371-375: Areas of study in information science; 385-92: Wordnet, CYC and GO. Vickery, Brian C. 1945. “Atomic Power”. Industrial Chemist 21: 473-7. Vickery, Brian C. 1946a. “The Manufacture of Mepacrine”. Industrial Chemist 22: 137-49. Vickery, Brian C. 1946b. “Research on Aluminium.” Industrial Chemist 22: 457-67. Vickery, Brian C. 1947. “The Conversion of Methanol to Formaldehyde”. Industrial Chemist 23: 141-8. Vickery, Brian C. 1948. “Bradford’s Law of Scattering”. Journal of Documentation 4, no. 3: 198-203. Vickery, Brian C and Kenneth George Denbigh. 1949. “The Polarisabilities of Bonds. Part II: Bond Refractions in the Alkanes”. Transactions of the Faraday Society 45, no. 1: 61-81. Vickery, Brian C. 1950a. “Reference Aids for the Literature Search”. The Industrial Chemist 26: 70–2. Vickery, Brian C. 1950b. “Some Problems of a Technical Library”. The Industrial Chemist 26: 220–2. Vickery, Brian C. 1950c. “The Structure of a Connective Index”. Journal of Documentation 6, no. 3: 140-151. Vickery, Brian C. 1951a. “Review of: The British National Bibliography, January–March, 1951, edited by A. J. Wells”. Journal of Documentation 7, no. 4: 258–62. Vickery, Brian C. 1951b. “Some Comments on Mechanical Selection”. American Documentation 2, no. 2: 102–7. Vickery, Brian C. 1951c. “The Optimum Use of Staff in the Small Library”. Aslib Proceedings 3, no. 4: 225–33. Vickery, Brian C and M. F. Austin. 1951. “An Experiment in Co-operation Between Special Libraries”. Library Association Record 53, no. 7: 225-6. Vickery, Brian C. 1952a. “Hunting the Pelorus”. Chemistry & Industry, no. 3: 66-66. Vickery, Brian C. 1952b. “Notational Symbols in Classification”. Journal of Documentation 8, no. 1: 14-32. Vickery, Brian C. 1952c. Relational Analysis. Unpublished report from ICI Ltd. Butterwick Research Laboratories. Vickery, Brian C. 1952d. “The Inadequacy of Current Classifications for Scientific Indexing”. Review of Documentation 19, no. 3: 87–91. Vickery, Brian C. 1953a. “Classification Research Group”. Library Association Record 55, no. 6: 187–8. Vickery, Brian C. 1953b. “Glossary of Current Terminology”. In Depth Classification and Reference Service & Reference Material. Papers for Discussion at the Tenth All-India Library Conference, Hyderabad, 1-4 June 1953. Edited by S. R. Ranganathan. Delhi: Indian Library Association; London: Blunt, 27–45. Vickery, Brian C. 1953c. “Optional Facets (17) - Classification of Chemistry”. Abgila: Annals of the Indian Library Association 3, no. 1: 11–24. Vickery, Brian C. 1953d. “Periodical Sets: What Should You Buy?” Aslib Proceedings 5, no. 2: 69–74. Vickery, Brian C. 1953f. “Systematic Subject Indexing”. Journal of Documentation 9, no. 1: 48-57. Vickery, Brian C. 1953g. “The Scientist and the Library Cataloguer”. Science 118, no. 3066: 390-390. Vickery, Brian C. 1953h. “The Significance of John Wilkins in the History of Bibliographical Classification. Libri 2, no. 4: 326–43. Vickery, Brian C. 1954a. “Information Officers and Librarians”. Library Association Record 56, no. 3: 103–4. Vickery, Brian C. 1954b. Methods of Literature Referencing and of Retrospective Searching by Means of Indexes, Classification and Automatic Selection. London: Classification Research Group. Vickery, Brian C. 1954c.”The Changing Structure of Knowledge”. Annals of Library Science 1, no. 3: 137–47. Vickery, Brian C. 1955a. “Developments in Subject Indexing”. Journal of Documentation 11, no. 1: 1-11. Vickery, Brian C. 1955b. The Function of Classification in Information Retrieval. Cranfield: Aslib Aeronautical Group. Vickery, Brian C. 1955c. “The Need for a Faceted Classification as a Basis of all Methods of Information Retrieval”. Library Association Record 57: 262–8. Vickery, Brian C. 1955d. “The Presentation of Information”. In Library Association, Reference and Special Libraries Section. Proceedings of the Annual Conference, 1955. London: Library Association, Reference and Special Libraries Section, 14–22. Vickery, Brian C. 1955e. “The Tower of Babel: The Language Barrier in Science”. In Library Association. Proceedings of the Annual Conference, 1955. London: Library Association, 76–84. Vickery, Brian C. 1956a. “Notational Devices”. Classification Research Group Bulletin 1: 11–3. Vickery, Brian C. 1956b. “Notational Symbols in Classification, 2: Notation as an Ordering Device”. Journal of Documentation 12, no. 2: 73-87. Vickery, Brian C. 1956c. “The Language Barrier in Science”. The Linguists’ Review (London), January pp. 5-8; May pp. 10-12. Vickery, Brian C. 1957a. “Depth Classification - 24 Common Facets and Phase Relations”. Annals of Library Science 4, no 1: 8–12. Vickery, Brian C. 1957b. “Notational Symbols in Classification, 3: Further Comparisons of Brevity”. Journal of Documentation 13, no. 2: 72-77. Vickery, Brian C. 1957c. Relations between Subject Fields: Problems of Constructing a General Classification. Classification Research Group Bulletin 2: 1–10. Vickery, Brian C. 1958a. A Faceted Classification for Aeronautics and Allied Subjects. London: Aslib. Vickery, Brian C. 1958b. Classification and Indexing in Science. London: Butterworths. (2nd ed. 1959; 3rd ed. 1975). Vickery, Brian C. 1958c. “Classification Research Group Bulletin no. 4: Problems in the Construction of Information Retrieval Systems”. Journal of Documentation 14, no. 3: 136–9. Vickery, Brian C. 1958d. “Notational Symbols in Classification, 4: Ordinal Values of Symbols”. Journal of Documentation 14, no. 1: 1-11. Vickery, Brian C. 1958e. “Problems in the Construction of Information Retrieval Systems”. Journal of Documentation 14, no. 3: 136-9. Vickery, Brian C. 1958f. “Prolegomena to Library Classification – Ranganathan, SR”. Library Quarterly 28, no. 3: 219-20. Vickery, Brian C. 1958g. “Research in Documentation”. Library Association Record 60, 2: 41–5. Vickery, Brian C. 1959a. Classification and Indexing in Science. Second edition. London: Butterworths Scientific Publications. Vickery, Brian C. 1959b. “Dewey 16th and the Special Library”. Library World 60, no. 707: 230–2. Vickery, Brian C. 1959c. “Documentation Research: Washington and After. The International Conference on Scientific Information and Connected Problems”. Revue de la Documentation 28, no. 1: 6–9. Vickery, Brian C. 1959d. “Information Storage and Retrieval: A Review”. American Documentation 10, no. 4: 319-20. Vickery, Brian C. 1959f. “Library Telex directory”. Library Association Record 61, no. 9: 216. Vickery, Brian C. 1959g. “Machines and Indexes”. UNESCO Bulletin for Libraries 13, nos. 11–12: 249–52. Vickery, Brian C. 1959h. “Notational Symbols in Classification, 5: Signposted and Retroactive Notation, and Part 6: “Pronounceable Retroactive Ordinal Notation”. Journal of Documentation 15, no. 1: 12–6. Vickery, Brian C. 1959i. “Reference and Special Library Research”. In Library Association: Reference, Special Libraries and Information Section. Proceedings of the 7th Conference. London: Library Association, Reference and Special Libraries Section, 22–42. Vickery, Brian C. 1959j. “Relations between Subject Fields: Problems of Construction a General Classification”. Journal of Documentation 15, no. 1: 73-74. Vickery, Brian C. 1959k. “Report on International Conference on Scientific Information, Areas 4, 5 and 6”. Aslib Proceedings 11, no. 2: 42–5. Academy of Sciences – National Research Council, 855–66. Vickery, Brian C. 1959m. “The Structure of Information Retrieval Systems”. In International Conference on Scientific Information, Washington, DC, November 16–21, 1958. Proceedings. Washington, DC: National Academy of Sciences – National Research Council, 1275–89. Vickery, Brian C. 1959n. “The Structure of 'Semantic Coding': A Review”. American Documentation 10, no. 3: 234–41. Vickery, Brian C. 1960a. Faceted Classification. A Guide to Construction and Use of Special Schemes. Prepared for the Classification Research Group. London: Association of Special Libraries and Information Bureaux. System – Present Position and Future Needs.” American Documentation 11, no. 2: 97–101. Vickery, Brian C. 1960c. The National Lending Library for Science and Technology. Copenhagen: Dansk Teknisk Litteraturselskab (Skriftserie nr. 2). Vickery, Brian C. 1960d. “Thesaurus: A New Word in Documentation”. Journal of Documentation 16, no. 4: 181–9. Kyle, Barbara and Brian C. Vickery. 1961. The Universal Decimal Classification: Present Position and Future Developments. Paris: UNESCO. (Reprinted from the UNESCO Bulletin for Libraries 14, no. 2: items 96 and 181). Vickery, Brian C. 1961a. “Coding for Interconvertibility». In: Information Retrieval and Machine Translation, edited by Allan Kent. New York: Interscience Publishers, vol. 3, part H: 1159–74. Vickery, Brian C. 1961c. “The Classification of Chemical Substances: An Historical Survey”. In The Sayers Memorial Volume: Essays in Librarianship in Memory of William Charles Berwick Sayers., edited by Douglas J. Foskett and B. I. Palmer. London: Library Association, 151–67. Vickery, Brian C. 1961d. “The Statistical Method in Indexing”. Revue de la Documentation 28, no. 2: 56–62. Vickery, Brian C. 1961e. “The Use of Scientific Literature”. Library Association Record 63, no. 8: 263–9. Vickery, Brian C and Barbara Kyle. 1961. “The Universal Decimal Classification and Technical Information Indexing”. UNESCO Bulletin for Libraries 15, no. 3: 126–38. Vickery, Brian C. 1962a. “Classification for Documentation”. Aslib Proceedings 14, no. 8: 243-7. Vickery, Brian C. 1962b. Fasettert klassifikasjon. Moss, Norway: Norsk utgave ved F.F.U. 's Komité for Klassifikasjon. Vickery, Brian C. 1962c. Techniques modernes de documentation: analyse des systèmes de recherche de documents (Translated from English). Paris: Dunod. Vickery, Brian C. 1963a. “Faceted Classification Schemes”. In Reader in Classification and Descriptive Cataloging., edited by A. F. Painter. Washington, DC: Butterworths, 107–14. Vickery, Brian C. 1963b. La classification à facettes: guide pour la construction et l'utilisation de schémas spéciaux. Traduit de l'anglais par Paule Salvan. Paris: Gauthier-Villars. Vickery, Brian C. 1963c. “Scientific Information: Problems and Prospects”. Minerva 2, no. 1: 21-38. Vickery, Brian C. 1963d. “The Scientist in the Library”. Times Literary Supplement, 3217, October 25, 870. Vickery, Brian C. 1963e. “Vocabularies for Coordinate Systems”. Aslib Proceedings 15, no. 6: 170-9. Vickery, Brian C. 1963f. Yorkshire's National Science Library. The Leeds Journal, August 1963, 345–8. Vickery, Brian C. 1964a. “A Rational Library System.” Library Association Record 66, no. 9: 377–82. Vickery, Brian C. 1964b. “Information Storage and Retrieval: Tools, Elements, Theories – Becker J, Hayes R. M.”. Journal of Documentation 20, no. 4: 240-240. Vickery, Brian C. 1964c. “The Present State of Research into the Communication of Information”. Aslib Proceedings 16, no. 2: 79-91. Vickery, Brian C. 1965a. “Decimal Classification and Colon Classification in Perspective – Parkhi, R.S.”. Journal of Documentation 21, no. 1: 62-62. Vickery, Brian C. 1965b. On Retrieval System Theory. Second edition. London: Butterworths. Vickery, Brian C. 1965c. “Ranganathan’s Work on Classification”. In Library Science Today: Ranganathan Festschrift, Essays offered to S.R. Ranganathan on his Seventy-first birthday, edited by P. N. Kaula. New York: Asia Publishing House, 108-9. Vickery, Brian C. 1965d. “Readings in Information Retrieval - Sharp, HS”. Journal of Documentation 21, no. 2: 135-135. Vickery, Brian C. 1965e. “The Universal Decimal Classification - Mills, J.” Journal of Documentation 21, no. 1: 62-62. Vickery, Brian C. 1966a. “Cleverdon, C. - Factors Determining Performance of Indexing Systems” Journal of Documentation 22, no. 3: 247-9. Vickery, Brian C. 1966b. “Cox, N.S.M. – Computer and Library”. Journal of Documentation 22, no. 4: 336-7. Vickery, Brian C. 1966c. Faceted Classification Schemes. New Brunswick, NJ: Rutgers University (Rutgers Series on Systems for the Intellectual Organization of Information, Vol. 5). Vickery, Brian C. 1966d. “The Future of Libraries in the Machine Age”. Library Association Record 68, no. 7: 252–60. Vickery, Brian C and D. J. Simpson. 1966. “The Future of Scientific Communication”. Science Journal 2, no. 7: 80–5. Vickery, Brian C et al. 1966a. “Discussion of A.J. Wells 1966. The Role of the British National Bibliography, In ‘The Application of Computers to Public Library Systems’, Aslib Proceedings 18, no. 9: 263-7”. Aslib Proceedings 18, no. 9: 268-9. Vickery, Brian C et al. 1966b. “Discussion of Organization and Practical Aspects of Computer Use - H. J. DIVE (pp. 270 - 275)”. Aslib Proceedings 18, no. 9: 275-275. Vickery, Brian C et al. 1966c. “Discussion of Urquhart, D. J.” Aslib Proceedings 18, no. 12: 362-3. Vickery, Brian C. 1967a. “Cheydleur, B.F. – Technical Preconditions for Retrieval Center Operations” and “Rubinoff, M – Toward a National Information System”. Computer Journal 10, no. 3: 226-226. Vickery, Brian C. 1967b. “Coyaud, M – Introduction a l’Etude des Languages Documentaires”. Journal of Documentation 23, no. 1: 81-81. Vickery, Brian C. 1967c. “Information Retrieval: The Subject Organisation of Information”. In: Information Work Today, edited by B. Houghton. London: Bingley, 1967, 111–119. Vickery, Brian C. 1967d. “Meadow, C.T. – Analysis of Information Systems: A Programmer’s Introduction to Information Retrieval”. Journal of Documentation 23, no. 3: 260-260. Vickery, Brian C. 1967e. “Research and Development at Aslib”. Aslib Proceedings 19, no. 6: 200–3. Vickery, Brian C. 1967f. “Review of Cleverdon and Keen”. Journal of Documentation 23, no. 4: 338-40. Vickery, Brian C. 1967g. “The Library as a System for Information Transfer”. In Organization and Handling of Bibliographic Records by Computer., edited by N.S.M. Cox and M. W. Grose. Newcastle-upon-Tyne: Oriel Press, 57–61. Vickery, Brian C. 1967h. “The Retrieval Process”. Aslib Proceedings VL 19, no. 11: 352–7. Vickery, Brian C et al. 1967a. “Discussion of Cleverdon, C”. Aslib Proceedings 19, no. 6: 193-4. Vickery, Brian C et al. 1967b. “Discussion of Myers, J. M.” Aslib Proceedings 19, no. 12: 438-40. Vickery, Brian C et al. 1967c. “Report by Birmingham University Library on Surveys Carried out in 1964 on the Use of the Library by Undergraduates, Graduate students, and Staff”. In University Grants Committee. Report of the Committee on Libraries. London: HMSO, 213–28. Vickery, Brian C. 1968a. “Analysis of Information”. In Encyclopedia of Library and Information Science, Vol. 1, edited by Allen Kent and Harold Lancour. New York: Dekker, 355–84. Vickery, Brian C. 1968b. “Aslib Research Programme 1969–71”. Aslib Proceedings 20, no. 7: 300–5. Vickery, Brian C. 1968c. “Bibliographic Description, Arrangement, and Retrieval”. Journal of Documentation 24, no. 1: 1–15. Vickery, Brian C. 1968d. Fazetová klasifikácia. Martin: Matica slovenska. Vickery, Brian C. 1968e. “Information Processing”. In Encyclopaedia Britannica, vol. 12. Willmete, Illinois: William Benton, 244 A–Z, 245, 246 A–B. Vickery, Brian C. 1968f. “Research at Aslib. In Conference on Research into Library Services in Higher Education, London, 3 November 1967. London: Society for Research into Higher Education, 18–21. Vickery, Brian C. 1968g. “Statistics of Scientific and Technical Articles”. Journal of Documentation 24, 3: 192–5. Vickery, Brian C. 1968h. “The Raw Material of Retrieval”. In Mechanized Information Storage, Retrieval and Dissemination: Proceedings of the FID/IFIP Joint Conference, Rome, June 14–17, 1967, edited by K. Samuelson. Amsterdam: North-Holland, 15–25. Vickery, Brian C. 1968i. “Theory of Classification”. In International Council for Building Research. Information flow in the building process– classification and coding for computer use. Oslo: Norwegian Building Research Institute, no. 3.03. Vickery, Brian C et al. 1968. “Discussion of Shaw, TN”. Aslib Proceedings 20, no. 1: 39-39. Earle, P. and Brian C. Vickery. 1969a. “Social Science Literature Use in the UK as Indicated by Citations”. Journal of Documentation 25, no. 2: 123–41. Earle, P. and Brian C. Vickery. 1969b. “Subject Relations in Science/Technology Literature.” Aslib Proceedings 21, no. 6: 237–43. Vickery, Brian C. 1969a. “Aspects of Library Management Research”. In Planning Library Services, edited by A.G. Mackenzie and I. M. Stuart. Lancaster: University of Lancaster Library, 275. Vickery, Brian C. 1969b. Facettenklassifikation. München-Pullach: Verlag Dokumentation. Vickery, Brian C. 1969c. “Indicators of the Use of Periodicals”. Journal of Librarianship 1, no. 3: 170–82. Vickery, Brian C. 1969d. “Information Work – Art, Technology or Science?” Aslib Proceedings 21, no. 10: 406–7. Vickery, Brian C. 1969e. “Theory of Classification”. Architects' Journal 149, no. 1: 19–27. Vickery, Brian C et al. 1969. “Discussion of Research at Aslib”. Aslib Proceedings 21, no. 4: 156-9. Vickery, Brian C, M. Slater, A. Presanis and R. Reynolds. 1969. Classification in Science Information: A Comparative Study Undertaken by Aslib for the International Council of Scientific Unions as a contribution to the ICSU/UNESCO study of the feasibility of a World Science Information System (UNISIST). London: Aslib. Martyn, John and Brian C. Vickery. 1970. “The Complexity of the Modelling of Information Systems”. Journal of Documentation 26, no. 3: 204-20. Vickery, Brian C. 1970a. “Aslib Research During 1969”. Aslib Proceedings 22, no. 2: 38–9. Vickery, Brian C. 1970b. Classification in Science Information– Addendum. Report Presented to the International Council of Scientific Unions. London: Aslib. Vickery, Brian C. 1970c. “Editorial Note”. Journal of Documentation 26, no. 1: 53-4. Vickery, Brian C. 1970d. “Great Britain’s National Lending Library - Watson, P. G”. Journal of Documentation 26, no. 4: 380-1. Vickery, Brian C. 1970e. “Methodology in Research”. Aslib Proceedings 22, no. 12: 597–606. Vickery, Brian C. 1970f. “Project for Evaluating Benefits from University Libraries. Final Report. Durham University”. Journal of Documentation 26, no. 3: 272-4. Vickery, Brian C. 1970g. “Reference Retrieval Confronts Information Explosion - French - Vanduk, M and Vanslype, G”. Journal of Documentation 26, no. 2: 174-5. Vickery, Brian C. 1970h. Techniques of Information Retrieval. London: Butterworths. Vickery, Brian C. 1970i. “The Triple Glow: Thoughts on Research in Librarianship”. Journal of Librarianship 2, no. 4: 281–6. Vickery, Brian C. 1970j. Zur Theorie von Dokumentationssystemen. München-Pullach: Verlag Dokumentation. Vickery, Brian C. 1971a. “A Review of the Main Problems”. Aslib Proceedings 23, no. 10: 548–52. Vickery, Brian C. 1971b. “Aslib Research and Development During 1970”. Aslib Proceedings 23, no. 3: 110–1. Vickery, Brian C. 1971c. “Document Description and Representation”. Annual Review of Information Science and Technology 6: 113-40. Vickery, Brian C. 1971d. Dokumentationssysteme: Einführung in die Theorie der Dokumentationssysteme. München: Verlag Dokumentation. Vickery, Brian C. 1971e. Information on Tape: Current Services and Future Prospects. Report to OSTI. Vickery, Brian C. 1971f. “Introducing Information”. Nature 232, no. 5307: 208. Vickery, Brian C. 1971g. “Introduction to Information Science – Saracevic, T”. Journal of Documentation 27, no. : 222-4. Vickery, Brian C. 1971h. “Little SI, Big SI: A Review of UNISIST». Journal of Librarianship 3, no. 4: 267–4. Vickery, Brian C. 1971i. Problèmes d'élaboration du thésaurus EUDISED multilingue. Paris: Maison des Sciences de l'Homme. Vickery, Brian C. 1971j. “Structure and Function in Retrieval Languages”. Journal of Documentation 27, no. 2: 69-82. Vickery, Brian C. 1972a. “Classificatory Principles in Natural Language Indexing Systems.” In Classification in the 1970s, edited by A. Maltby. London: Bingley, 167–91. Vickery, Brian C. 1972b. “Cutter in His Classic Rules”. In ISLIC International Conference on Information Science 1971: Tel-Aviv, edited by Lydia Vilentchuk, Assistant Editor Gila Haimovic. [Tel-Aviv] National Center of Scientific and Technological Information, vol. 1: 189. Vickery, Brian C. 1972c. “External Sources of Information: Kinds of Services and Facilities Offered and Criteria for Evaluation”. Aslib Proceedings 24, no. 12: 664-71. Vickery, Brian C. 1972d. La Classificazione a Faccette: Guida per la Costruzione e l'Utilizzazione di Schemi Speciali. Roma: CNR [Consiglio Nazionale delle Ricerche]. Vickery, Brian C. 1972e. “Research and Aslib Membership”. Aslib Proceedings 24, no. 7: 419-22. Vickery, Brian C. 1972f. “Research by Aslib into the Costing of Information Services.” Aslib Proceedings 24, no. 6: 337–41. Vickery, Brian C. 1972g. “Summary of Research Udertaken by Aslib, 1966–1971”. Aslib Proceedings 24, no. 3: 199–203. Vickery, Brian C. 1972h. “The Administration of Research in Institutions”. In Objectives and Administration of Library Research: Papers Given at a Seminar Organised by the Advisory Board on Research of the Library Association and Held on 20th and 21st September, 1971 at the University of Nottingham London: Library Association, 33-8. Vickery, Brian C. 1972i. “The Many Uses and Forms of Subject Representation”. In ISLIC International Conference on Information Science, Tel Aviv, 29 Aug – 3 Sept 1971. Proceedings, edited by L. Vilebtchuk. Tel Aviv: National Centre of Scientific and Technological Information, 1972, 189–197. Elton, Martin and Brian C. Vickery. 1973. “The Scope for Operational Research in the Library and Information Field”. Aslib Proceedings 25, no. 8: 305–19. Vickery, Brian C. 1973a. “Annual Review of Information Science and Technology 7 - Cuadra, CA and Luke, AW-.” Journal of Documentation 29, no. 2: 245-7. Vickery, Brian C. 1973c. Information Systems. London: Butterworths. Vickery, Brian C. 1973d. “The Nature of Information Science”. In Toward a Theory of Librarianship: Papers in Honor of Jesse Hauk Shera, edited by C. Rawski. Metuchen, NJ: Scarecrow Press, 147–68. Vickery, Brian C. 1974a. “Information in 1985 – Forecasting Study of Information Needs and Resources - Anderla, G”. Journal of Documentation 30, no. 1: 109-111. Vickery, Brian C. 1974b. “Ranganathan's Contribution to Indexing.” In S.R. Ranganathan 1892–1972: Papers Given at a Memorial Meeting on Thursday 25 January 1973, edited by Edward Dudley. London: Library Association, 1974, 9–11. Vickery, Brian C. 1974c. “Scientific Information and Society - Rozsa, G”. Journal of Documentation 30, no. 1: 112-112. Vickery, Brian C. 1974d. University College London. School of Library, Archive and Information Studies: a note on a relevant course. YLG News, 18(3), 1974, 4–5. Vickers, Peter H. 1975. Automation Guidelines for Public Libraries / project team Peter H. Vickers, Brian C. Vickery and Jane Wainwright. London: H.M.S.O. Vickery, Brian C. 1975a. “Academic Research in Library and Information Studies”. Journal of Librarianship 7, no. 3: 153-60. Vickery, Brian C. 1975b. Classification and Indexing in Science, 3rd. edition. London: Butterworth. (1st edition 1958; 2nd. Edition 1959). Vickery, Brian C. 1975c. “Information Studies, Computers and Co-operation”. In Proceedings of an International Seminar on Automatic Data Processing, edited by L. Bell and M. Roper. London: HMSO, 296–303. Vickery, Brian C. 1975d. “Principles of Information Retrieval – Kochen, M”. Journal of Documentation 31, no. 1: 50-50. Vickery, Brian C. 1975e. “The Organisation of the Distribution of Scientific and Technical Information”. In Essays on Information and Libraries. Festschrift for Donald Urquhart, edited by K. Barr and M. Line. London, Bingley, 181–92. Vickery, Brian C. 1976a. “Information Retrieval and Processing - Doyle, L.B”. Journal of Documentation 32, no. 2: 149-149. Vickery, Brian C. 1976b. “The Organization of Information Using Computers”. In Use of Computers in Libraries and Information Centres, edited by M. Bidmead. London; Aslib, 25–33. Vickery, Brian C. 1977a. “Computer Information Services”. In The Future Role of Computerised Information Services at the University of London. London: University of London, Library Resources Coordinating Committee, 7–25. Vickery, Brian C. 1977b. “Experimental Use of Online Services in Schools of Librarianship and Information Science”. Online Review 1, no. 4: 272-3. Vickery, Brian C. 1977c. “Influence and Expectations of Research in the Information Field”. In EURIM II: A European Conference on the Application of Research in Information Services and Libraries, edited by W.E. Batten. London: Aslib: 4–7. Vickery, Brian C. 1977d. Practical On-line Search in the Teaching of Library and Information Studies: An Assessment of Projects Carried out by UK Schools of Library and Information studies. London: British Library Research and Development Department. (Report 5390). Vickery, Brian C and A. G. Brown. 1977. “Information Science”. In Comparative and International Library Science, edited by A. G. Brown. London: Scarecrow Press, 181–200. Harley, A.J., M.F. Lynch and B.C. Vickery. 1978. “Report of a Meeting of the European Branch, 29 September 1977, on Computers, Libraries and Classification”. Classification Society Bulletin 4, no. 2: 24–7. Vickery, Brian C. 1978a. “Concepts of Documentation”. Journal of Documentation 34, no. 4: 279–87. Vickery, Brian C. 1978b. Past, On-going and Planned Activities in Training and Education / prepared by B.C. Vickery [for the] Ad Hoc Committee on Education and Training Policy and Programme, 3rd session, 4 to 6 October 1978, UNESCO House. Paris: UNESCO. Vickery, Brian C. 1978c. “The Introduction of Computer Information Services to a Federal University (University of London)”. In Knowledge and Development: Reshaping Library and Information Services for the World of Tomorrow: a Festschrift for Bjorn Tell, edited by S. Schwarz and U. Willers. Stockholm: Royal Institute of Technology (Library), 1978, 185–202. Vickery, Brian C. 1978d. The Use of On-line Search in Teaching: An Assessment of Projects Carried out by UK Schools of Library and Information Studies. London: British Library Research and Development Department. (BLRD Report no. 5390) (Compare Vickery 1977e). Thomas, P. A. and Brian C. Vickery. 1979a. “Information System Dynamics: Modelling the Impact of On-Line”. Online Review 3, no. 4: 413-4. Thomas, P. A. and Brian C. Vickery. 1979b. “Information System Dynamics: Modelling the Impact of On-Line”. In 3rd International On-line Information Meeting, London, 4–6 December 1979. Oxford: Learned Information, 83–94. Vickery, Brian C. 1979a. “Analytical Access – History, Resources, Needs - Hyman, RJ”. Journal of Documentation 35, no. 2: 161-161. Vickery, Brian C. 1979b. “Five Years Advising”. Interlending Review 7, no. 3: 81–4. Vickery, Brian C. 1979c. “Information Retrieval 2nd edition– van Rijsbergen, CJ”. Journal of Librarianship 11, no. 3: 237-237. Vickery, Brian C and I. C. McIlwaine. 1979. “Structuring and Switching: A Discussion of the Broad System of Ordering”. International Forum on Information and Documentation 4, no. 3: 13–5. Vickery, Brian C and P. Baxter. 1979. Workshop on Basic Information Research, Cranfield Institute of Technology, 1978. London: British Library (BLRD Report no. 5500). Vickery, Brian C and Pauline Oswitch. 1979. Information System Dynamics: Modelling the Impact of Online Bibliographical Services: Final Report on a Preliminary Study on the Impact of Interactive Networks on the UK Library and Information System, June 1978-May 1979. London: School of Library, Archive and Information Studies, University College London (British Library research and development reports, no. 5522). Vickery, Brian C 1980a. “An Approach to Information Science.” In Theory and Application of Information Research, edited by Ole Harbo and Leif Kajberg. London: Mansell, 1–14. Vickery, Brian C 1980b. Classificação e Indexação nas Ciências. Rio de Janeiro: BNG/Brasilart. Vickery, Brian C. 1982a. “The Impact of New Technology on Libraries and Their Users”. In User Education in the Online Age, IATUL Proceedings 14, edited by Nancy Fjällbrandt. Gothenburg, Sweden: International Association of Technological University Libraries, 1–10. Vickery, Brian C. 1982b. “Modelling the Growth of Literature”. Nature 296, 875. Vickery, Brian C. 1982c. “Scientific Information Systems and the Principle of Selectivity – Goffman, W, Warren, KS”. Journal of Documentation 38, no. 2: 135-6. Vickery, Brian C, G. Jefferson. P. Havard Williams and K. McGarry. 1982. “Information Education Serving 'the Community of Need' “. Library Association Record 84, nos. 7/8: 239–41. Vickery, Brian C, R. G. Heseltine and C. S. Brown. 1982. Information System Dynamics: The Impact of Interactive Information Networks on the UK Library and Information System: Final Report for the Period August 1979 – July 1982. London: School of Library, Archive and Information Studies, University College, London (BLRD Report no. 5758). Vickery, Brian C 1983a. “Bibliography and the Scientist”. In Bibliography and Reading: A Festschrift in Honour of Ronald Staveley, edited by I. McIlwaine, J. McIlwaine amd P. G. New. Metuchen, NJ: Scarecrow Press, 160–70. Vickery, Brian C 1983b. “Technological Change and the Provision of Information”. In The Development of National Library and Information Services, edited by E. Dudley. London: Library Association, 103–12. Vickery, Brian C and R. G. Heseltine. 1983. “Planning the Future: Computer-based Modelling and the Dynamics of Information Systems.” In Information Management Research in Europe, edited by P.J. Taylor and Blaise Cronin. London: Aslib, 98–105. Vickery, Brian C 1984. “Scientific Communications and Informatics – Mikhailov, A.I., Chernyi, AI, Giljarevskii, RS”. Journal of Documentation 40, no. 4 293-5. Vickery, Brian C, R. Heseltine and C. Brown 1984. “Interactive Information Networks and UK Libraries”. Journal of Documentation 40, no. 1: 36–49. Vickery, Brian C. 1985a. “Analysis of Information”. In Subject and Information Analysis, edited by E. D. Dym. New York: Dekker, 6–35. Vickery, Brian C. 1985c. “Online Public Access to Library Files – Conference Proceedings – Kinsella, J.” Journal of Documentation 41, no. 4: 283-283. Vickery, Brian C. 1985d. “Systematic Subject Indexing”. In Theory of Subject Analysis: A Sourcebook, edited by L. M. Chan et al. Littlejohn, CO: Libraries Unlimited. Vickery, Brian C. 1986. “Knowledge Representation: A Brief Review”. Journal of Documentation 42, no. 3: 145–59. Vickery, Brian C, Alina Vickery and H. M. Brooks. 1986. “Developing an Expert System for Referral”. In Proceedings, Second International Expert Systems Conference. Medford, NJ: Learned Information, 285–302. Vickery, Alina, H.M. Brooks, B.A. Robinson and Brian C. Vickery. 1986. Expert System for Referral: Final Report of the First Phase of the Project. London: University of London Central Information Service. (British Library Research and Development Report, 5924). Vickery, Alina, H. M. Brooks, B. Robinson and Brian C. Vickery. 1987. “A Reference and Referral System using Expert System Techniques”. Journal of Documentation 43, no. 1: 1–23. Vickery, Brian C. 1987a. “Expert Systems in Libraries: Proceedings of a Conference of the Library Association Information Technology Group and the Library and Information Research Group, November 1985, edited by Forbes Gobb.” Journal of Documentation 43, no. 2: 187-187. Vickery, Brian C. 1987b. “Worlds of Reference – Lexicography, Learning and Language from Clay Tablet to the Computer - McAthhur, T”. Journal of Documentation 43, no. 2: 168-168. Vickery, Alina, H.M. Brooks, B.A. Robinson, J. Stephens and Brian C. Vickery. 1988. Expert System for Referral. London: British Library. (Library and Information Research Report, 66). Vickery, Brian C. 1988. “Knowledge Engineering – Expert Systems and Information Retrieval – Wormell, I”. Journal of Documentation 44, no. 4: 405-7. Wade, Stephen, Peter Willett, Bruce Robinson and Brian C. Vickery and Alina Vickery. 1988. “A Comparison of Knowledge-based and Statistically-based Techniques for Reference Retrieval”. Online Review 12, no. 2: 91-108. Vickery, Alina, H. M. Brooks and Brian C. Vickery 1989. “An Expert System for Referral: The PLEXUS Project”. In Intelligent Information Systems: Progress and Prospects, edited by R. Davies. Chichester: Ellis Horwood, 154-83. Vickery, Brian C. 1989a. “Concepts of Information Retrieval – Pao, ML”. Journal of Documentation 45, no. 4: 344-5. Vickery, Brian C. 1989b. “Informetrics 87/88 – Select Proceedings of the 1st International Conference on Bibliometrics and Theoretical Aspects of Information Retrieval, Diepenbeek, Belgium, 25-28 August 1987 – Egge, L, Rosseau, R.”. Journal of Documentation 45, no. 3: 268-70. Vickery, Brian C. 1989c. Intelligent Interfaces for User-Friendly Access to Databases and Electronic Information Services: A State-of-the-Art Review. Report submitted to the Commission of the European Community. Vickery, Brian C and A. Kemp. 1989. “Knowledge Bases and Databases”. Journal of Documentation 45, no. 4: 327-8. Vickery, Brian C. 1990. “The Growth of Scientific Literature, 1660-1970”. In: The Information Environment: A World View Studies in Honour of Professor A.I. Mikhailov, edited by Douglas J. Foskett. Amsterdam: Elsevier, 101-9. Vickery, Brian C and Alina Vickery. 1990. “Intelligence and Information Systems”. Journal of Information Science 16, no. 1: 65-70. Vickery, Brian C. 1990. “Classificatory Principles in Intelligent Interfaces”. In Tools for Knowledge Organization and the Human Interfaces: Proceedings of the 1st International ISKO Conference, Darmstadt, 14-17 August 1990. Part 1, edited by Robert Fugmann. Frankfurt/Main: INDEKS Verlag, 14-20. (Advances in Knowledge Organization, 1). Vickery, Brian C. 1991. “Classification and Computer Interfaces”. Bliss Classification Bulletin 33: 8-10. Vickery, Brian C. 1992a. “Intelligent Interfaces to Online Databases". In Artificial Intelligence and Expert Systems: Will They Change the Library? Papers Presented at the Annual Clinic on Library Applications of Data Processing (27th, Urbana, Illinois, March 25-27, 1990). Illinois, March 25-27, 1990, edited by F. W. Lancaster and Linda Smith. Urbana-Champaign, Illinois: Graduate School of Library and Information Science, University of Illinois at Urbana-Champaign, 239-53. Vickery, Brian C. 1992b. “Knowledge Structures in Information Retrieval”. Journal of Documentation 48, no. 3: 326-8. (Letter). (Reply by David Ellis, 328-31). Vickery, Brian C and Alina Vickery. 1992c. "An Application of Language Processing for a Search Interface". Journal of Documentation 48, no. 3: 255-75. Vickery, Alina and Brian C. Vickery. 1993a. “The Application of Expert Systems in Libraries and Information Centers – Morris, A”. Journal of Documentation 49, no. 1: 74-6. Vickery, Alina and Brian C. Vickery. 1993b. “The JAL Guide to the Professional Literature”. Journal of Academic Librarianship 19, no. 3: 189-189. Vickery, Brian C. 1993a. “Besterman, Theodore, Bibliographer and Editor: A Selection of Representative Texts – Cordasco, F”. Journal of Documentation 49, no. 1: 66-7. Vickery, Brian C. 1993b. “British Computer Society 13TH Information Retrieval Colloquium - McEnery,T”. Program: Automated Library and Information Systems 27, no. 1: 111-111. Vickery, Brian C. 1993c. “Making Sense of Journals in the Physical Sciences – From Speciality Origins to Contemporary Assortment – Stankus, T” Journal of Documentation 49, no. 2: 212-3. Vickery, Brian C. 1993d. “Categories and Classes in Search Interfaces”. In Libraries and Information Services: Studies in Honour of Douglas Foskett, edited by Michael Humby. London: Institute of Education Library, University of London, 21-31 (Education Libraries Journal Supplement, 25). Vickery, Brian C and Alina Vickery. 1993a. “Interfaces for Information Retrieval and Online Systems -The State-of-the Art – Dillon, M”. Journal of Documentation 49, no. 2: 224-6. Vickery, Brian C and Alina Vickery. 1993b. “Online Search Interface Design”. Journal of Documentation 49, no. 2: 103-7. (A reprint with the same title was published by Aslib 1993). Vickery, Brian C and Alina Vickery. 1993c. “Natural Language Processing - Reply”. Journal of Documentation 49, no. 1: 65-65. Vickery, Brian C and Alina Vickery. 1993d. “Designing and Evaluating User Interfaces for Knowledge-Based Systems – McGraw, K.” Journal of Documentation 49, no. 4: 421-421. Vickery, Brian C (Ed.). 1994a. “Fifty Years of Information Progress: A Journal of Documentation Review”. London: Aslib. Vickery, Brian C. 1994b. “Innovation in Information: 20 years of the British Library Research Development Department – Meadows, J”. Journal of Documentation 50, no. 4: 375-6. Vickery, Brian C. 1995a. “Cybernetics and Human Knowing, Volume 1”. Journal of Documentation 51, no. 4: 450-1. Vickery, Brian C. 1995b. “Knowledge-based Information Systems - Partridge, D, Hussain, KM”. Journal of Documentation 51, no. 2: 179-80. Vickery, Brian C. 1995c. “Urquhart, Donald, 1909-1994.” Journal of Documentation 51, no. 1: 1-2. Vickery, Brian C. 1996. “Conceptual Relations in Information Systems“. Journal of Documentation 52, no. 2: 198-200. Vickery, Brian C. 1997a. ”Cybersemiotics in Context”. Journal of Documentation 53, no. 2: 178-83. Vickery, Brian C. 1997b. “Information Science: Integration in Perspective. Proceedings of CoLIS 2, Second International Conference on Conceptions of Library and Information Science, October 13-16, I996, Ingwersen P, Pors, NO”. .Journal of Documentation 53, no. 5: 537-8. Vickery, Brian C. 1997c. “Issues in Knowledge Organization”. Proceedings of the Sixth International Study Conference on Classification Research: Held at University College London, 16-18 June 1997. The Hague, Netherlands: International Federation for Information Documentation, 180-2. (FID publication 716). Vickery, Brian C. 1997d. “Looking back...”. In From Classification to "Knowledge Organization": Dorking Revisited or "Past is Prelude", edited by Alan Gilchrist. The Hague, Netherlands: International Federation for Information and Documentation. Vickery, Brian C. 1997e. “Knowledge Discovery from Databases: An Introductory Review”. Journal of Documentation 53, no. 2: 107-22. Vickery, Brian C. 1997f. “Knowledge Organization and Change. Proceedings of the Fourth International ISKO Conference 15.-18. July 1996, Washington, DC, USA – Green R.“ Journal of Documentation 53, no. 5: 552-3. Vickery, Brian C. 1997g. “Metatheory and Information Science”. Journal of Documentation 53, no. 5: 457-76. Vickery, Brian C. 1997h. “Ontologies”. Journal of Information Science 23, no. 4: 277-86. Vickery, Brian C. 1998a. “Readings in Information Retrieval“. Journal of Documentation 54, no. 3: 382-3. Vickery, Brian C. 1998b. “The Royal Society Scientific Information Conference of 1948”. Journal of Documentation 54, no. 3: 281-3. Vickery, Brian, C. 1998c. “New Information Vistas”. In Proceedings of the 1998 Conference on the History and Heritage of Science Information Systems, edited by Mary Ellen Bowden et al. Medford, NJ: Information Today, 1999, 282. With a portrait of the author. Previously available online in Pioneers of Information science: Scrapbook. http://www.libsci.sc.edu/bob/ISP/scrapbook.htm. Now in Internet Archive. Vickery, Brian C. 1999a. “A Century of Scientific and Technical Information”. Journal of Documentation 55, no. 5: 476-527. Vickery, Brian C. 1999b. “Communication Research”. Journal of Documentation 55, no. 1: 101-101. Vickery, Brian C. 1999c. “Information Seeking in the Online Age: Principles and Practice - Andrew Large, Lucy A. Tedd and RJ Hartle”. Journal of Documentation 55, no. 5: 599-599. Vickery, Brian C. 2000a. “Introduction to Modern Information Retrieval ” (book review). Program -Electronic Library and Information Systems 34, no. 2: 231-2. Vickery, Brian C. 2000b. “J. D. Bernal: A life in Science and Politics”. Journal of Documentation 56, no. 6: 4: 474-6. Vickery, Brian C. 2000c. “M. A. Bramer, ed. Knowledge Discovery and Data Mining”. Journal of Documentation 56, no. 5: 583-584. Vickery, Brian C. 2000d. “Robert Fairthorne, 1904-2000”. Journal of Documentation 56, no. 6: 601-4. Vickery, Brian C. 2000e. Scientific Communication in History. Lanham, Md. : Scarecrow. Vickery, Brian C. 2001. “Proceedings of the 1998 Conference on the History and Heritage of Science Information Systems.” Journal of Documentation 57, no. 1: 160-1. Vickery, Brian C. 2002a. “A History of Information Storage and Retrieval”. (Book review). Program -Electronic Library and Information Systems 36, no. 4: 287-287. Vickery, Brian C. 2002b. “A Social History of Knowledge: From Gutenberg to Diderot”. (Book review). Journal of Documentation 58, no. 2: 242-3. Vickery, Brian C. 2002c. “Sorting out the Web: Approaches to Subject Access - Candy Schwartz”. (Book review). Program -Electronic Library and Information Systems 36, no. 3: 209-209. Vickery, Brian C. 2004b. "Information Representation and Retrieval in the Digital Age - Heting Chu". (Book review). Program -Electronic Library and Information Systems 38, no. 2: 213-213. Vickery, Brian C. 2004c. “Recent Developments in Electronic Access to the Data of Science”. In The History and Heritage of Scientific and Technological Information Systems: Proceedings of the 2002 Conference on the History and Heritage of Scientific and Technological Information Systems, edited by W. Boyd Raymond and Mary Ellen Bowden Medford, NJ: Information Today, 363-72. Vickery, Brian C and Alina Vickery. 2004. Information Science in Theory and Practice, Third edition. Vickery, Brian C. 2005f. The Material Mind, in 2 Parts. Web page. Vickery, Brian C. 2006c. “Structure and Function in Retrieval Languages”. Journal of Documentation 62, no. 1: 7-20. Vickery, Brian C. 2008a. “Emanuel Goldberg and his Knowledge Machine by Michael Buckland” (Book Review). Journal of Librarianship and Information Science 40, no. 2: 143-4. Vickery, Brian C. 2008b. “Faceted Classification for the Web”. Axiomathes 18, no. 2: 145-60. Vickery, Brian C. 2008c. “Guest Editorial Meeting the Challenge” [on History of Information Science in the UK]. Journal of Information Science 34, no. 4: 397-401. Vickery, Brian C. 2008e. “Issues in Information Retrieval”. Presentation at ISKO meeting on June 26, 2008 At University College, London. Vickery, Brian C. 2009b. “Guest Editorial: Meeting the Challenge”. In Information Science in Transition, edited by Alan Gilchrist. London: Facet Publishing, xxi-xxix. (Reprint of Vickery 2008c). Vickery, Brian C. 2009c. “Information History - An Introduction. Exploring an Emergent Field by Toni Weller” (Book Review). Journal of Librarianship and Information Science 41, no. 4: 245-6. Anonymous. 1966. “Faceted Classification Schemes - Vickery, B.C“. RQ 6, no. 1: 47-47. Bawden, David. 2010. “Brian Vickery and the Uneasy Information Scientists“. Journal of Documentation 66, no. 3: 305-6. Bloomfield, M. 1973. “Information Systems - Vickery, B.C“. Special Libraries 64, no. 11: 537-537. Bloomfield, M. 1977. “Classification and Indexing in Science - Vickery, B.C“. Special Libraries 68, no. 1: 53-53. Borgman, Christine L. 1994. “Online Search Interface Design - Vickery, B.C, Vickery, A“. Library & Information Science Research 16, no. 4: 353-4. Borko, Harold. 1971. “Techniques of Information Retrieval - Vickery, B.C“. Information Storage and Retrieval 7, no. 1: 55-56. Borko, Harold. 1988. “Review of: Information Science in Theory and Practice, by B. C. Vickery and A. Vickery“. Information Processing and Management 24, no. 4: 493-4. Brier, Søren. 1997. “The Necessity of an Alternative Metatheory to the Information Processing Paradigm in LIS Context: A Reply to Brian Vickery“. Journal of Documentation 53, no. 3: 316-21. Broughton, Vanda. 2009. 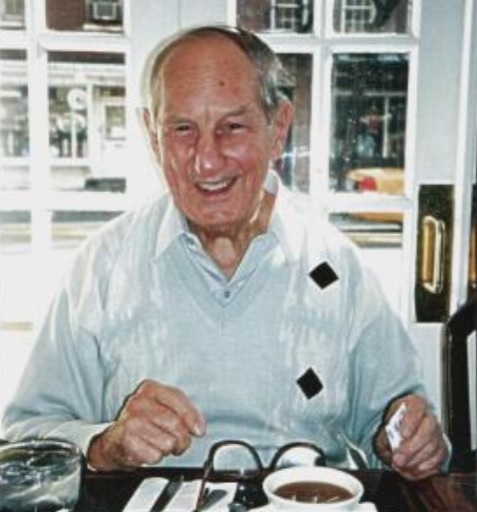 “Brian Vickery, September 11, 1918 – October 17, 2009”. Cataloguing and Classification Quarterly 49, no. 1: 42-6. Cain, Robert H. 1962. “On Retrieval-System Theory - Vickery, B.C“. American Archivist 25, no. 4: 474-5. Coates, Eric James. 1966. “Faceted Classification Schemes - Vickery, B.C“. Journal of Documentation 22, no. 3: 251-2. Coates, Eric James. 1988. “The Role of Classification in Information Retrieval: Action and Thought in the Contribution of Brian Vickery“. Journal of Documentation 44, no. 3: 216-25. Cronin, Blaise. 2010. “Brian Vickery: An Appreciation in Memoriam“. Journal of the American Society for Information Science and Technology 61, no. 4: 850-1. David, L. R. 1959. “Classification and Indexing in Science - Vickery, B.C“. Special Libraries 50, no. 5: 221-2. Donohue, J. C. 1966. “Retrieval System Theory - Vickery, B.C“. Library Journal 91, no. 5: 1205-1205. East, Harry and Amber Adams. 1988. “Vickery, B. C. – Bibliography“. Journal of Documentation 44, no. 3: 205-215. Foskett, Anthony C. 1970. “Techniques of Information Retrieval - Vickery, B.C“. Journal of Documentation 26, no. 3: 275-6. Foskett, Douglas J. 1988. “Vickery, Brian - A Personal Memory“. Journal of Documentation 44, no. 3: 199-204. Foskett, Douglas John. 1995. “Fifty Years of Information Progress - A Journal of Documentation Review - Vickery, B“. Journal of Documentation 51, no. 3: 291-2. Gnoli, Claudio. 2012. “Vickery's Late Ideas on Classification by Phenomena and Activities“. In Facets of Knowledge Organization: Proceedings of the ISKO UK Second Biennial Conference, 4th-5th July 2011, London, eds. Alan Gilchrist and Judi Vernau. Bingley: Emerald-Aslib, p. 11-24. http://event-archive.iskouk.org/sites/default/files/ISKO-UK-2011_ClaudioGnoli.pdf. Harter, Stephen P. 1971. “Techniques of Information Retrieval - Vickery, B.C“. Library Quarterly 41, no. 1: 68-9. Harter, Stephen P. 1979. “Use of Online Search in Teaching – Assessment of Projects Carried out by UK Schools of Library and Information Studies - Vickery, B.C“. Information Processing & Management 15, no. 5: 266-266. Kaltenbach, Margaret. 1961. “Faceted Classification - A Guide to Construction and Use of Special Schemes - Vickery, B.C“. Library Journal 86, no. 5: 983-4. Kimber, R.T. 1973. “Information Systems - Vickery, B.C“. Journal of Documentation 29, no. 3: 334-5. Kochen, Manfred. 1975. “Information Systems - Vickery, B.C “. Library Quarterly 45, no. 1: 88-9. Kurmey, William. 1961. “On Retrieval-System Theory - Vickery, B.C“. Library Quarterly 31, no. 4: 419-419. Lancaster, F. Wilfrid. 1967. “Vickery, B.C – On Retrieval System Theory“. American Documentation 18, no. 1: 50-50. Large, J. A. 1988. “ Information Science in Theory and Practice – Vickery B.C. , Vickery A. “. Education for Information 6, no. 2: 229-31. Lipetz, Ben-Ami. 1988. “Information Science in Theory and Practice - Vickery, B.C, Vickery, A“. Journal of Documentation 44, no. 4: 390-2. Lužová, Veronika. 2011. Brian C. Vickery: Života a dílo. Masarykova univerzita Filozoficka fakulta Kabinet informacních studií a knihovnictví. https://is.muni.cz/th/fizix/BC4-archiv.pdf. McIlwaine, Ia C. 2010. “Brian Vickery 11th September 1918—17th October 2009“. Knowledge Organization 37, no. 3: 155-6. Magalhaes, Rodrigo. 1989. “About the Book by Vickery and Vickery – Its Review by Borko – and the Possible Name Change for the Institute“. Journal of Information Science 15, no. 2: 129-30. Maizell, Robert E. 1960. “Classification and Indexing in Science, 2nd Edition – Vickery, B.C”. Library Journal 85, no. 9: 1772-1772. Meadows, Jack. 2010. “An Appreciation Brian Vickery“. Journal of Documentation 66, no. 4: 614-7. Meyer-Uhlenried, Karl-Heinrich. 1970. “ Retrieval System Theory - German - Vickery, B.C“. Nachrichten für Dokumentation 21, no. 4: 179-80. Midorikawa, Nobuyuki. 2014. “Concept of Facet of Ranganathan and Vickery from the Viewpoint of Structure-expression Style Theory“. Library and Information Science, no. 71: 1-25. Oatfield, Harold. 1959. “Classification and Indexing in Science - Vickery, B.C“. Library Journal 84, no. 14: 2290-2290. Oppenheim, Charles. 1995. “Fifty Years of Information Progress - A Journal of Documentation Review - Vickery, B“. Journal of Information Science 21, no. 4: 329-30. Perreault, Jean M. 1966. “Faceted Classification Schemes - Vickery, B.C“. American Documentation 17, no. 4: 218-9. Perreault, Jean M. 1966. “Faceted Classification Schemes - Vickery, B.C“. Library Resources & Technical Services 10, no. 4: 529-&. Pietsch, Ernst Hermann Erich. 1970. „Faceted Classification - German - Vickery, B.C“. Nachrichten für Dokumentation 21, no. 3: 131-2. Raitt, D. 1988. “Information Science in Theory and Practice - Vickery, B.C, Vickery, A“. Electronic Library 6, no. 5: 395-395. Richmond, Phyllis A. 1961. “Faceted Classification - A Guide to the Construction and Use of Special Schemes - Vickery, B.C“. Library Quarterly 31, no. 3: 289-289. Rudolph, G. A. 1974. “Information Systems - Vickery, B.C“. Library Resources & Technical Services 18, no. 4: 418-9. Salton, Gerard. 1970. “Techniques of Information Retrieval - Vickery, B.C“. Journal of Library Automation 3, no. 4: 322-322. Taube, Mortimer. 1960. “Classification and Indexing in Science, 2nd Edition – Vickery, B.C”. College & Research Libraries 21, no. 5: 420-3. Wall, M. 1994. “Information Science in Theory and Practice, 2nd Edition - Vickery, B. C, Vickery, A”. College & Research Libraries 55, no. 6: 571-2. Warheit, Israel A. 1962. “On Retrieval-System Theory - Vickery, B.C“. Special Libraries 53, no. 2: 112-3. YatesMercer, P. A. 1979. “Use of Online Search in Teaching – Assessment of Projects Carried out by UK Schools of Library and Information Studies - Vickery, B.C“. Journal of Documentation 35, no. 1: 99-100. ©2019 ISKO. All rights reserved.